Imagine being the guy who had to dress up as those things to amuse terrify the little children. I will try and write something for Four Continents but my schedule is so hectic right now that I’ve disconnected my router for the entire day save for one hour until all my work is done. In Soviet Russia, Polar Bears Use You! 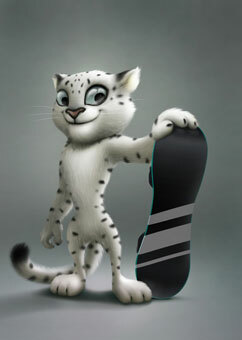 So as I was wandering around the intertubes, I found this: a list of 10 possible choices for Sochi 2014’s mascot. Of course, I had to look through all of the choices and while I did, there were obviously some snarky comments that popped into my head because that’s just the way I am. So here we go. Doesn’t the Coca-Cola company own Santa? I smell a lawsuit… unless naming this dude Father Frost saves you from that. 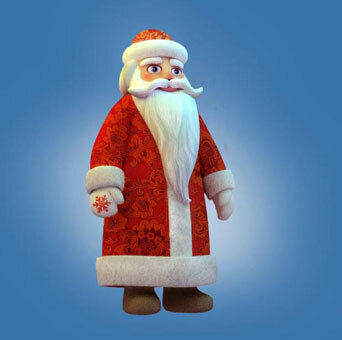 I should ask my lawyer-in-training friend about this… In any case, may I note that this Santa is super fashion forward? I love the floral patterns on his coat. Just in time for spring. 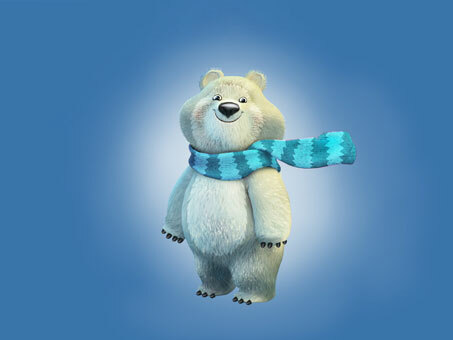 Except… he’s supposed to be the mascot for the *Winter* Olympics. 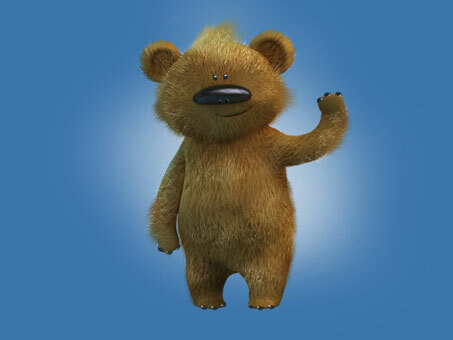 Awww… what’s more classic than a teddy bear? Apparently this guy opened a sports school in the Zapovedny Forest (how am I going to pronounce all these Russian names when they pop out at me in 3 years!?) to make all the beasts there fitter. Then again, being fat has its advantages when being an animal. It’s called blubber and hibernation. This teddy should try it sometime. I know that I wish humans would hibernate during the winter. Ok. 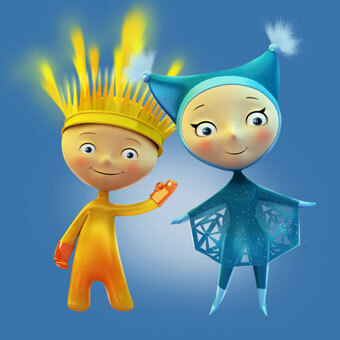 So this is what I think what the Russian designers for the mascot did. They thought up of some fuzzy animals (and little children with pale and amber skin) and then they ran out of ideas for mascots. And then, Eureka. Someone goes, “Hey! 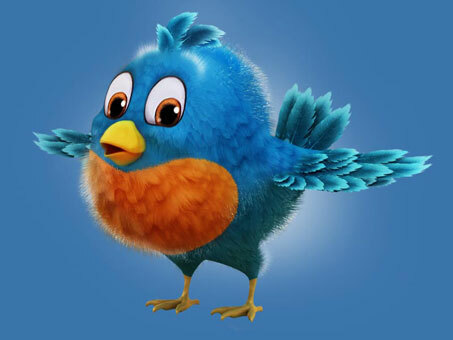 Technology is cool!” and they found a few more fuzzy animals related to technology like the snow leopard and the Twitter bird and used them as possible mascots. 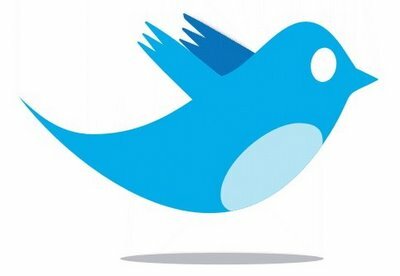 Someone tell me that I’m not going crazy and that the first thing you thought of when you saw this bird was Twitter. 7. 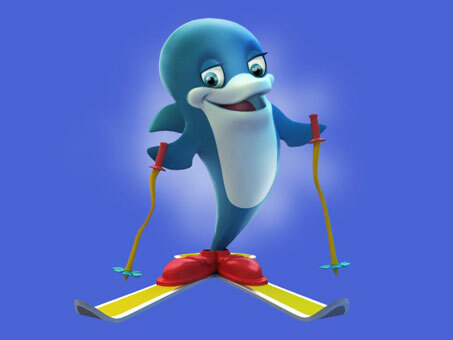 A Skiing… Dolphin!? WTF? Ok, you guys seriously need to lay off the vodka. 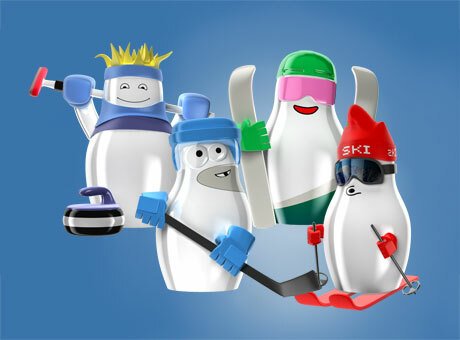 These things are almost creepier and uglier than Wenlock and Mandeville, the London 2012 mascots and that’s saying something. (I had to find a picture of those London… things and was shocked at how horrendous looking they were… even though I’ve already seen them.) These guys are supposed to be matryoshka dolls but all I can say is that they’re terribly fugly. I don’t know where to start my comments… should I talk about the hobo stubble on the blue hockey player, their bathtub porcelain bodies or the fact that they look nothing like matryoshkas. I don’t know, all I do know is that these things are ugly as f$%@. 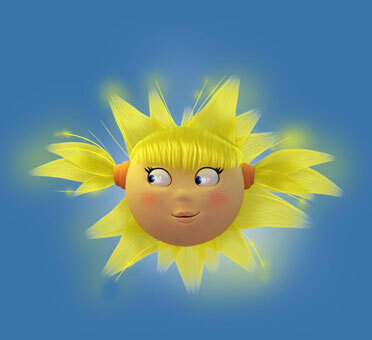 Ok, a mascot that wasn’t conceived on vodka. 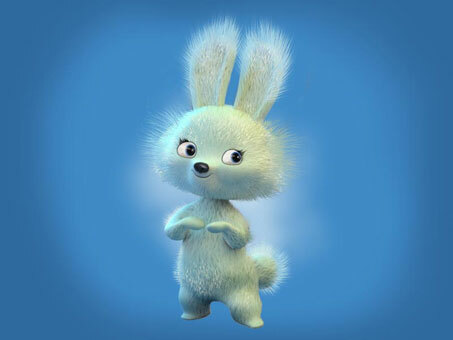 They need to take this bunny to the Japanese who will make this so cute that it’s illegal. 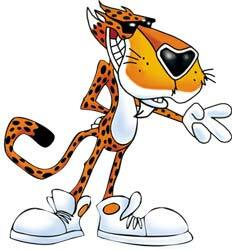 You know what I’d like to see for the Sochi mascot? 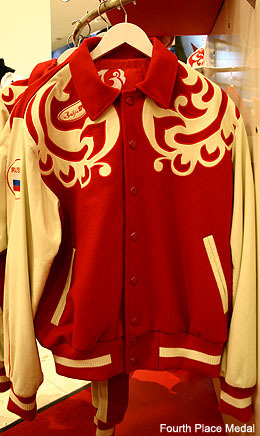 The use of those wing patterns on the Team Russia Jackets. Maybe turn the thing into a fire or thunderbird or something. I’m sure the Russians can fabricate some sort of story about how it relates to the country’s origins and whatnot. Moment in History: HAPPY GOOSE DAY! Don’t know what I’m talking about? I apologize as I will be unable to offer any further commentary for Four Continents. I will be away, stranded with no internet access so the only posts that will appear are ones I have written beforehand. I may do a write-up after my foray into the wilderness but in the meantime, please visit my favourite figure skating blogger, Aunt Joyce and ontd_skating for news, commentary and scores. But stay tuned! There will be a few posts in the next few days! Tessa and Scott withdrew midway through their FD. It looked fabulous and it seems like a shame that it couldn’t happen. The internets have been exploding and Michael Slipchuk has confirmed that Tessa withdrew because she felt tightness in her left thigh. Additional Tweets inform us that this is apparently not related to surgeries and that she’s been feeling it since before she came to Taipei. A press conference should be happening now and we’ll see what else is said. Tessa and Scott will not be attending due so Tessa can get treated but hopefully Slipchuk or Marina and Igor have some news for us. I hope that they’ll take the time to recover and be able to compete at Worlds. Or even the World Team Trophy. 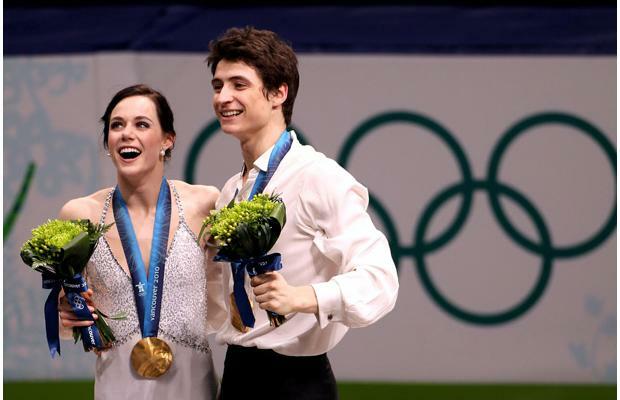 Following Tessa and Scott’s withdrawal, Meryl and Charlie won the competition handily with the Shibushibus in second and Crone/Poirier rounding out the podium. A bit of a nightmare compared to what we had yesterday. Hoping that Tessa feels better soon! Edit: An article with stuff we already knew but reiterated with Mike Slipchuck. Edit 2: CBC did an interview with Tessa and she spoke briefly during this clip.